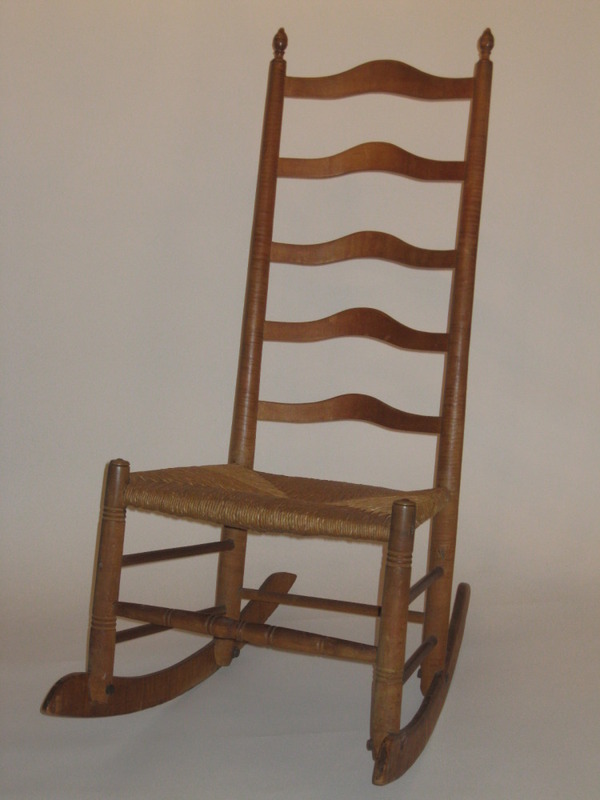 American, made in Roadstown, New Jersey, probably late 19th –early 20th century. 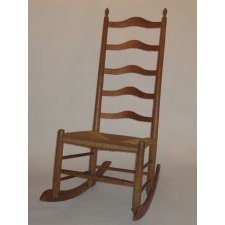 An excellent example of a Roadstown, New Jersey turned, slat back, rush seat Ware chair in original condition. Beginning with patriarch Maskell Ware (1766-1846) the Ware chair making process handed down father to son for a span of 150 years. 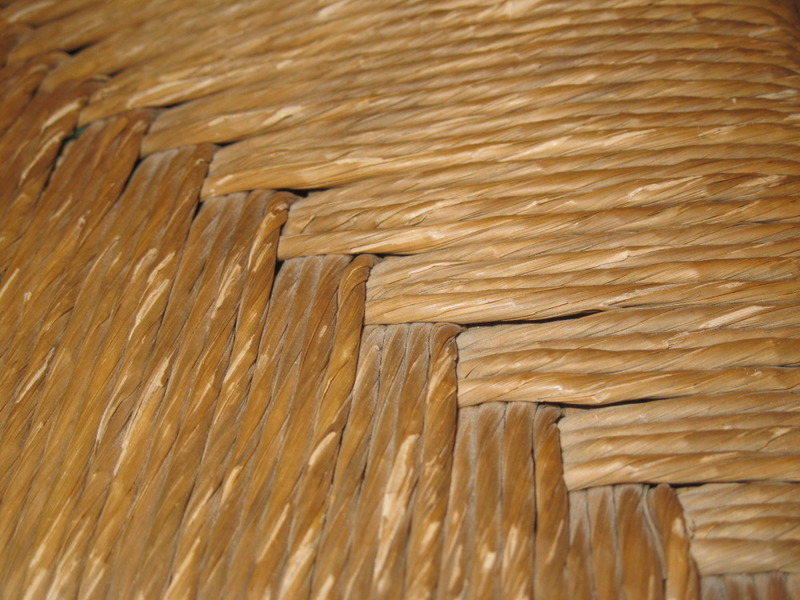 The technique remained the same throughout the generations and characterized by these distinguishing features: Scribe lines on the posts where the slat is inserted to the post. 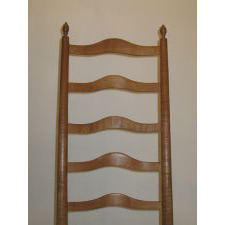 Small hand wrought nails secure the top slat only. Rockers attached to the outside of the front and back posts. Rush seats woven in either single or checkered design. 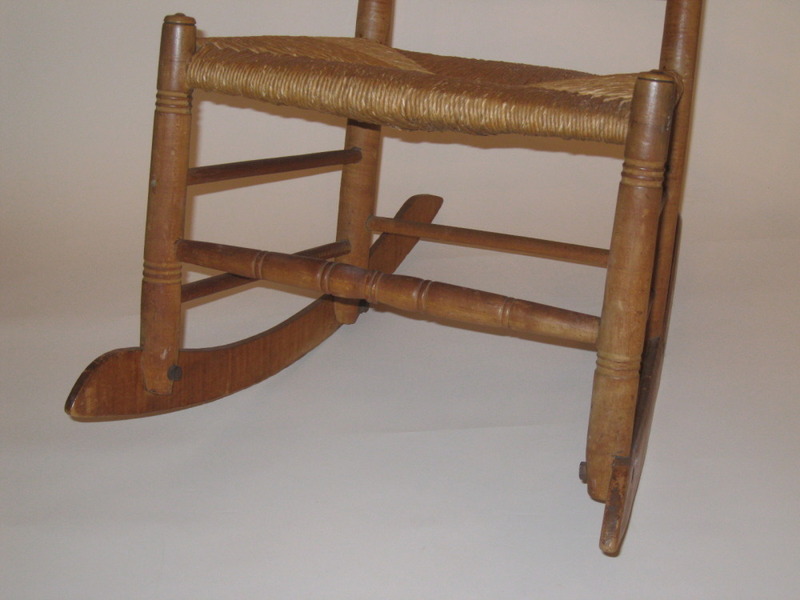 This chair retains the checkered design, which is four strands over four strands Underside of seat is stuffed with wads of curled frond ends of cured rush. 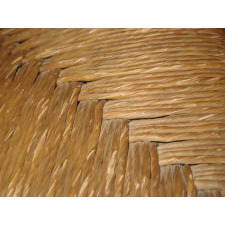 Choice of wood was generally local swamp maple, either plain or curly. 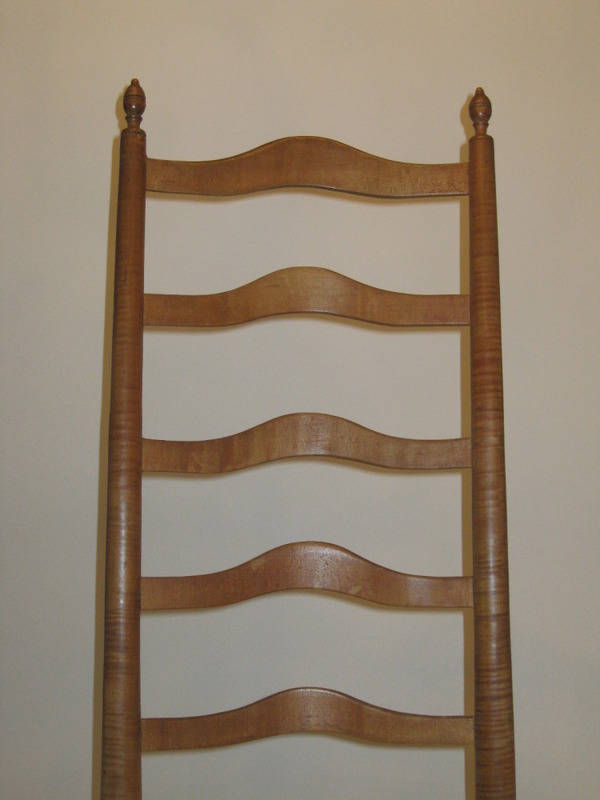 This chair exhibits curly maple on the back posts and rockers. 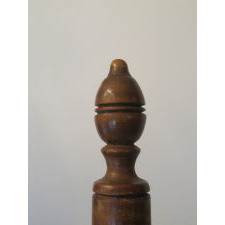 Distinctive finials – Maskell Ware chose globe shaped finials, while his sons and grandsons used oval or elliptical shaped finials that had elongated ends or a knob. 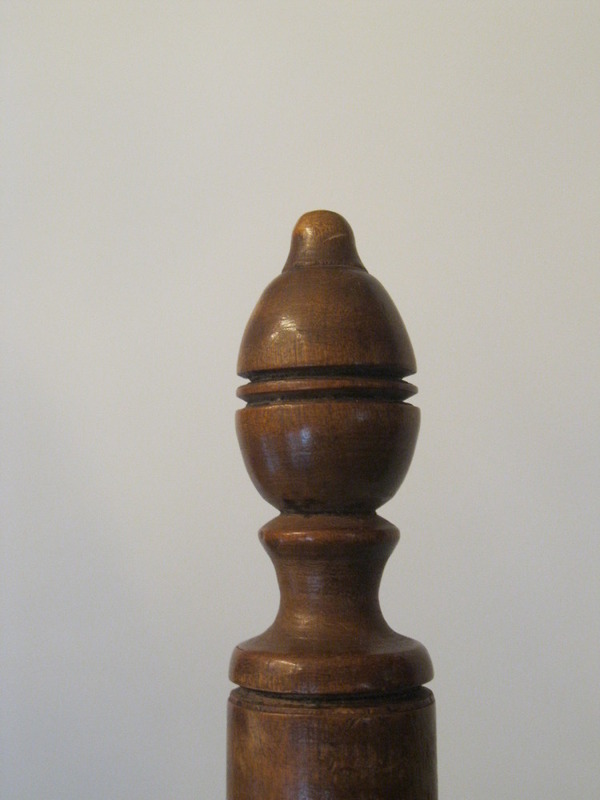 This chair demonstrates an oval finial. 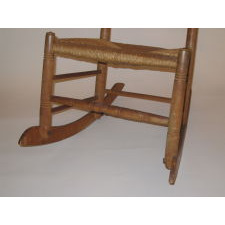 For more information on the Ware Chair makers of southern New Jersey, please see our blog post, January 1, 2014 at www.noonmarkantiques.com This chair is in excellent condition. Descended through a family from Roadstown, New Jersey.